See this beautiful collection, made up of feminine fabrics such as lace and tulle... You won't want to miss out! 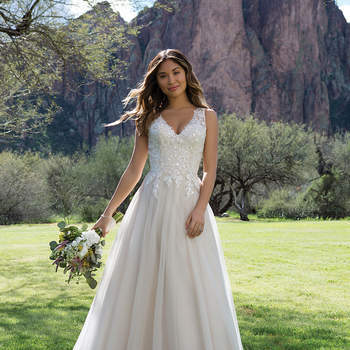 If you’re getting married soon, but lost in all the wedding preparation, then now is the perfect time to shop for your perfect wedding dress. Don’t worry, if you’ve still not found ‘the one’, then we have the perfect collection for you. 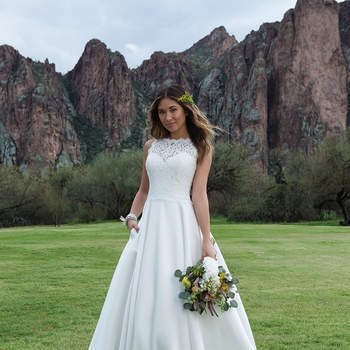 Take a look at the new Sweetheart 2018 wedding dress collection and fall in love straight away! 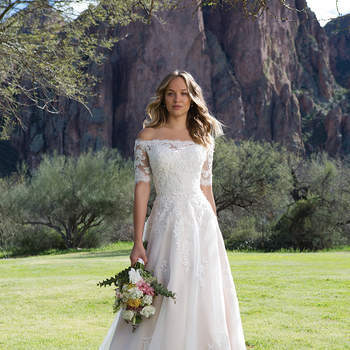 The dress designers have released some of the most feminine and romantic designs for brides that want to ooze pure class and sophistication. The fabrics range from gorgeous lace to luxury tulle, which are used to create beautiful voluminous skirts with and draped effect designs. Among the most prominent cuts you can find princess cut, mermaid cut and A-line dresses. In terms of the necklines, the brand opts largely for tradition cuts, such as sweetheart necklines, strapless necklines and necklines that are adorned with beautiful lace pieces that create a tattoo effect. 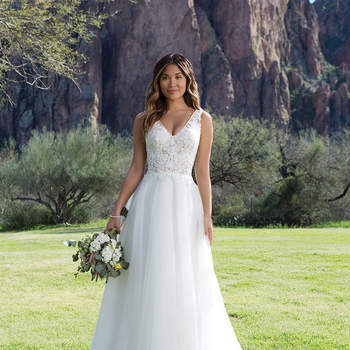 Don’t miss out on this collection of Sweetheart 2018 wedding dresses, and choose a design that lets you feel sophisticated, classy, and most like you!